This Craft Urban run long sleeve baselayer blue men is made of a mix between Merino wool and polyester. The Merino wool has a number of great advantages, it insulates very well, has excellent breathability, transports sweat quickly, it does not itch and prevents unpleasant odors. 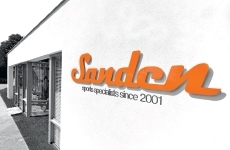 In short, the perfect fabric for a running shirt which is specially designed for use in the autumn. The fabric also feels very soft, so you will experience unrivaled comfort during the training sessions. This Craft Urban run long sleeve baselayer grey men is made of a mix between Merino wool and polyester. The Merino wool has a number of great advantages, it insulates very well, has excellent breathability, transports sweat quickly, it does not itch and prevents unpleasant odors. In short, the perfect fabric for a running shirt which is specially designed for use in the autumn. The fabric also feels very soft, so you will experience unrivaled comfort during the training sessions. This Craft Urban run long sleeve baselayer black men is made of a mix between Merino wool and polyester. The Merino wool has a number of great advantages, it insulates very well, has excellent breathability, transports sweat quickly, it does not itch and prevents unpleasant odors. In short, the perfect fabric for a running shirt which is specially designed for use in the autumn. The fabric also feels very soft, so you will experience unrivaled comfort during the training sessions. 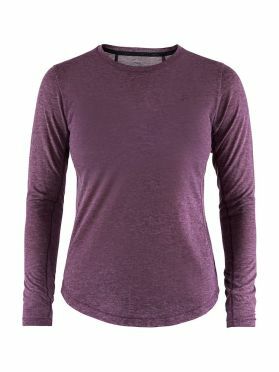 This Craft Urban run long sleeve baselayer purple women is made of a mix between Merino wool and polyester. The Merino wool has a number of great advantages, it insulates very well, has excellent breathability, transports sweat quickly, it does not itch and prevents unpleasant odors. In short, the perfect fabric for a running shirt which is specially designed for use in the autumn. The fabric also feels very soft, so you will experience unrivaled comfort during the training sessions. 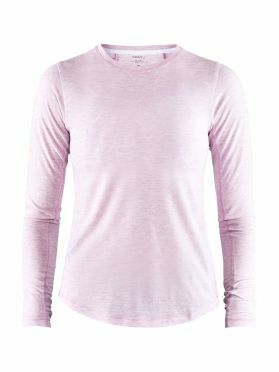 This Craft Urban run long sleeve baselayer pink women is made of a mix between Merino wool and polyester. The Merino wool has a number of great advantages, it insulates very well, has excellent breathability, transports sweat quickly, it does not itch and prevents unpleasant odors. In short, the perfect fabric for a running shirt which is specially designed for use in the autumn. The fabric also feels very soft, so you will experience unrivaled comfort during the training sessions. 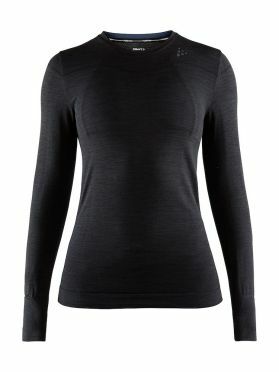 This Craft Urban run long sleeve baselayer black women is made of a mix between Merino wool and polyester. The Merino wool has a number of great advantages, it insulates very well, has excellent breathability, transports sweat quickly, it does not itch and prevents unpleasant odors. In short, the perfect fabric for a running shirt which is specially designed for use in the autumn. The fabric also feels very soft, so you will experience unrivaled comfort during the training sessions. This cozy everyday Craft Fuseknit comfort zip long sleeve baselayer dark grey men is made of lightweight, warming yarn for optimal thermoregulation and provides excellent moisture transport to keep your body dry and comfortable. In addition, the jersey features the innovative Fuseknit technology, which combines seamlessly knit parts with ergonomic and strategic seams to create soft and supple garments. The result is fewer seams and a smooth, chafe-free and highly comfortable experience. A perfect choice for all kinds of winter activities. 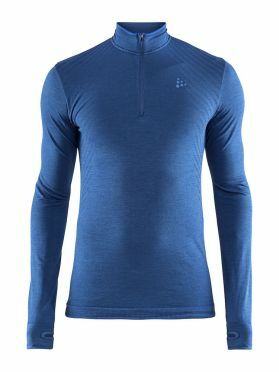 This cozy everyday Craft Fuseknit comfort zip long sleeve baselayer blue men is made of lightweight, warming yarn for optimal thermoregulation and provides excellent moisture transport to keep your body dry and comfortable. In addition, the jersey features the innovative Fuseknit technology, which combines seamlessly knit parts with ergonomic and strategic seams to create soft and supple garments. The result is fewer seams and a smooth, chafe-free and highly comfortable experience. A perfect choice for all kinds of winter activities. This cozy everyday Craft Fuseknit comfort zip long sleeve baselayer black men is made of lightweight, warming yarn for optimal thermoregulation and provides excellent moisture transport to keep your body dry and comfortable. In addition, the jersey features the innovative Fuseknit technology, which combines seamlessly knit parts with ergonomic and strategic seams to create soft and supple garments. The result is fewer seams and a smooth, chafe-free and highly comfortable experience. A perfect choice for all kinds of winter activities. 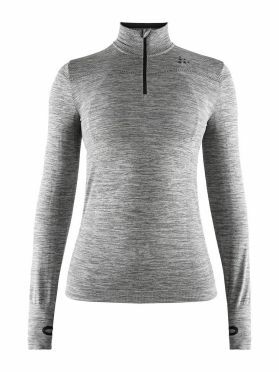 This cozy everyday Craft Fuseknit comfort zip long sleeve baselayer grey women is made of lightweight, warming yarn for optimal thermoregulation and provides excellent moisture transport to keep your body dry and comfortable. In addition, the jersey features the innovative Fuseknit technology, which combines seamlessly knit parts with ergonomic and strategic seams to create soft and supple garments. The result is fewer seams and a smooth, chafe-free and highly comfortable experience. A perfect choice for all kinds of winter activities. 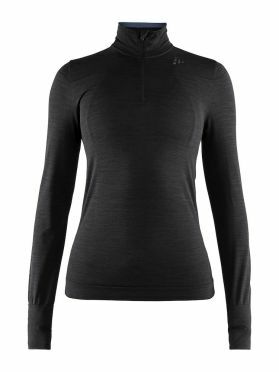 This cozy everyday Craft Fuseknit comfort zip long sleeve baselayer black women is made of lightweight, warming yarn for optimal thermoregulation and provides excellent moisture transport to keep your body dry and comfortable. In addition, the jersey features the innovative Fuseknit technology, which combines seamlessly knit parts with ergonomic and strategic seams to create soft and supple garments. The result is fewer seams and a smooth, chafe-free and highly comfortable experience. A perfect choice for all kinds of winter activities. 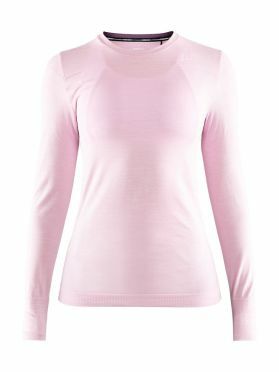 The Craft Fuseknit comfort long sleeve baselayer light pink women is made of lightweight, warming yarn for optimal thermoregulation and provides excellent moisture transport to keep your body dry and comfortable. 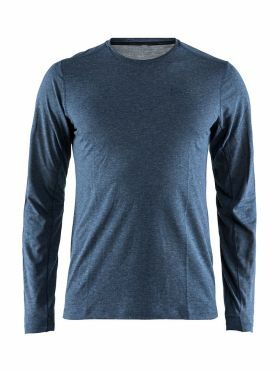 In addition, the jersey features the innovative Fuseknit technology, which combines seamlessly knit parts with ergonomic and strategic seams to create soft and supple garments. The result is fewer seams and a smooth, chafe-free and highly comfortable experience. A perfect choice for all kinds of winter activities. 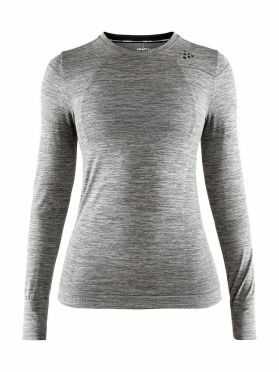 The Craft Fuseknit comfort long sleeve baselayer grey women is made of lightweight, warming yarn for optimal thermoregulation and provides excellent moisture transport to keep your body dry and comfortable. In addition, the jersey features the innovative Fuseknit technology, which combines seamlessly knit parts with ergonomic and strategic seams to create soft and supple garments. The result is fewer seams and a smooth, chafe-free and highly comfortable experience. A perfect choice for all kinds of winter activities. 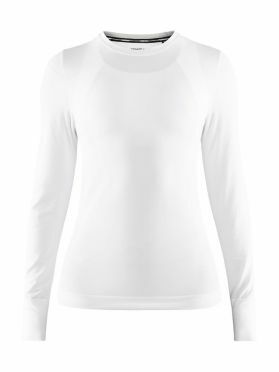 The Craft Fuseknit comfort long sleeve baselayer white women is made of lightweight, warming yarn for optimal thermoregulation and provides excellent moisture transport to keep your body dry and comfortable. In addition, the jersey features the innovative Fuseknit technology, which combines seamlessly knit parts with ergonomic and strategic seams to create soft and supple garments. The result is fewer seams and a smooth, chafe-free and highly comfortable experience. A perfect choice for all kinds of winter activities. 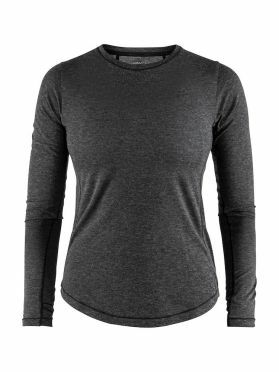 The Craft Fuseknit comfort long sleeve baselayer black women is made of lightweight, warming yarn for optimal thermoregulation and provides excellent moisture transport to keep your body dry and comfortable. In addition, the jersey features the innovative Fuseknit technology, which combines seamlessly knit parts with ergonomic and strategic seams to create soft and supple garments. The result is fewer seams and a smooth, chafe-free and highly comfortable experience. A perfect choice for all kinds of winter activities. 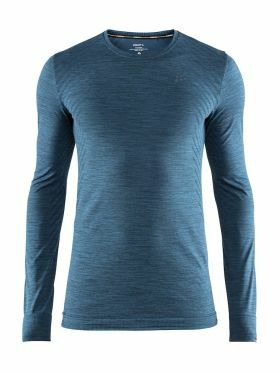 The Craft Fuseknit comfort long sleeve baselayer blue/fjord men is made of lightweight, warming yarn for optimal thermoregulation and provides excellent moisture transport to keep your body dry and comfortable. In addition, the jersey features the innovative Fuseknit technology, which combines seamlessly knit parts with ergonomic and strategic seams to create soft and supple garments. The result is fewer seams and a smooth, chafe-free and highly comfortable experience. A perfect choice for all kinds of winter activities. 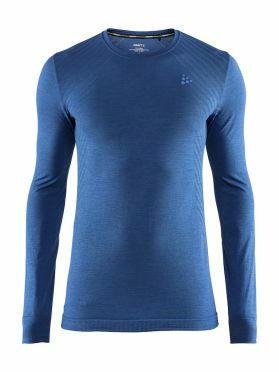 The Craft Fuseknit comfort long sleeve baselayer blue men is made of lightweight, warming yarn for optimal thermoregulation and provides excellent moisture transport to keep your body dry and comfortable. In addition, the jersey features the innovative Fuseknit technology, which combines seamlessly knit parts with ergonomic and strategic seams to create soft and supple garments. The result is fewer seams and a smooth, chafe-free and highly comfortable experience. A perfect choice for all kinds of winter activities. The Craft Fuseknit comfort long sleeve baselayer dark grey men is made of lightweight, warming yarn for optimal thermoregulation and provides excellent moisture transport to keep your body dry and comfortable. In addition, the jersey features the innovative Fuseknit technology, which combines seamlessly knit parts with ergonomic and strategic seams to create soft and supple garments. The result is fewer seams and a smooth, chafe-free and highly comfortable experience. A perfect choice for all kinds of winter activities. 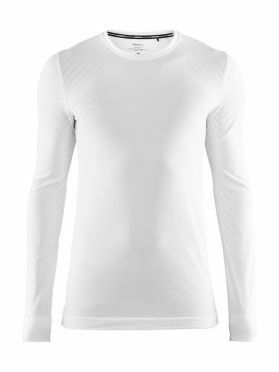 The Craft Fuseknit comfort long sleeve baselayer white men is made of lightweight, warming yarn for optimal thermoregulation and provides excellent moisture transport to keep your body dry and comfortable. In addition, the jersey features the innovative Fuseknit technology, which combines seamlessly knit parts with ergonomic and strategic seams to create soft and supple garments. The result is fewer seams and a smooth, chafe-free and highly comfortable experience. A perfect choice for all kinds of winter activities.